These wall mounted taps with a deck mounted spout are made of top quality stainless steel with a brushed finish. 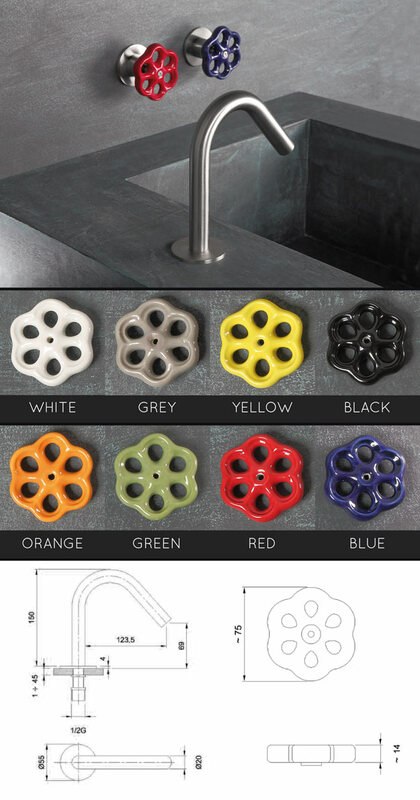 Each stainless steel basin tap has coloured porcelain wheel handles which are available in 8 contemporary colour choices. * Unique and exclusive styling..
* 8 ceramic colour handle finishes.